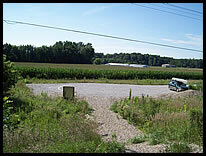 Location: The State Road 29 bridge over Wildcat Creek is a little north of Burlington. From SR 29 turn west onto the first road north of the creek, then turn immediately left (south) onto the gravel road leading to the access site parking lot. 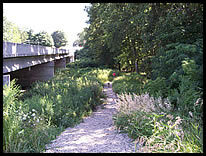 Creek access is downstream (west) of the SR 29 bridge on the right (north) bank. Parking: There is a gravel parking lot with room for about 12 vehicles. 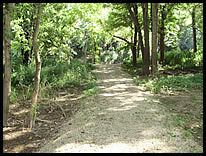 Path to River: The gravel path to the river is about 150 yards, and includes one decent climb up and over a hill. 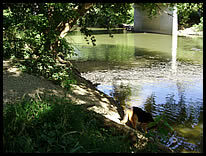 River Access: It is a very steep bank to the river, and you can probably only put in or take out one boat at a time. However, there is plenty of room for staging in the wooded area at the put-in. 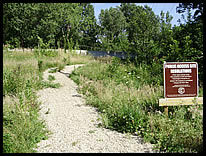 The Burlington Access Site was created by the Indiana Department of Natural Resources Division of Fish & Wildlife, and it is adopted by the Wildcat Guardians and the Wildcat Creek Foundation.